Come Bake Biscuits with me ! 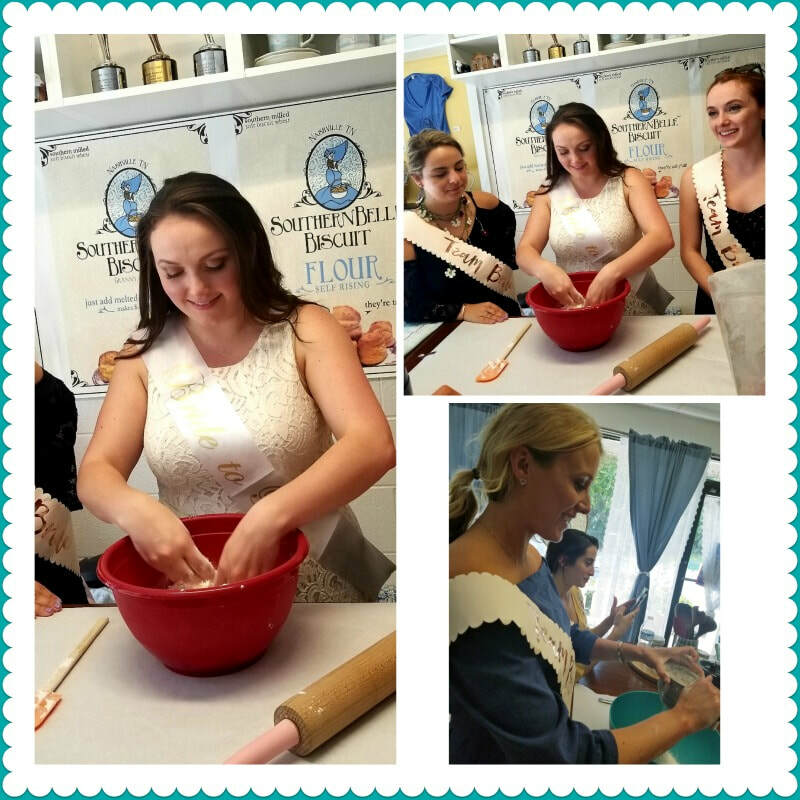 ......... Maryann Byrd teaches students the basics of the Art of Southern Biscuit Baking in her Southern Belle Biscuit Kitchen. You'll be eating two biscuits and gravy, as well as preparing your own hands on batch of biscuits before leaving class. Come to class ready to eat, learn, bake, and have a lot of fun. This is our most popular class. Biscuits & Breakfast class is typically held on Friday, Saturday, and Sunday's at 10 am- 12:15 pm. Private classes can be arranged by contacting us. Or if you're in Nashville during the week, we can book a class for you, please give us some lead time. Purchase the number of seats you'd like and write us with the name or names you'd like on your gift certificate and who it is from and we will email it to you. Southern Belle Biscuit Company's soft Biscuit Flour and mixes are blended with premium ingredients, a biscuit makers best friend. 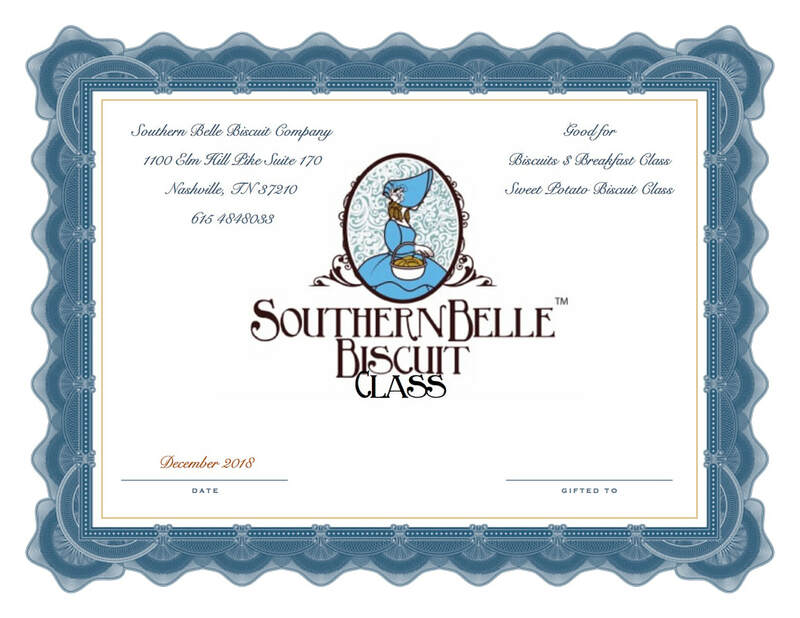 Southern Belle self rising Biscuit Flour is made with soft winter wheat grown in the fields of Southern farms. 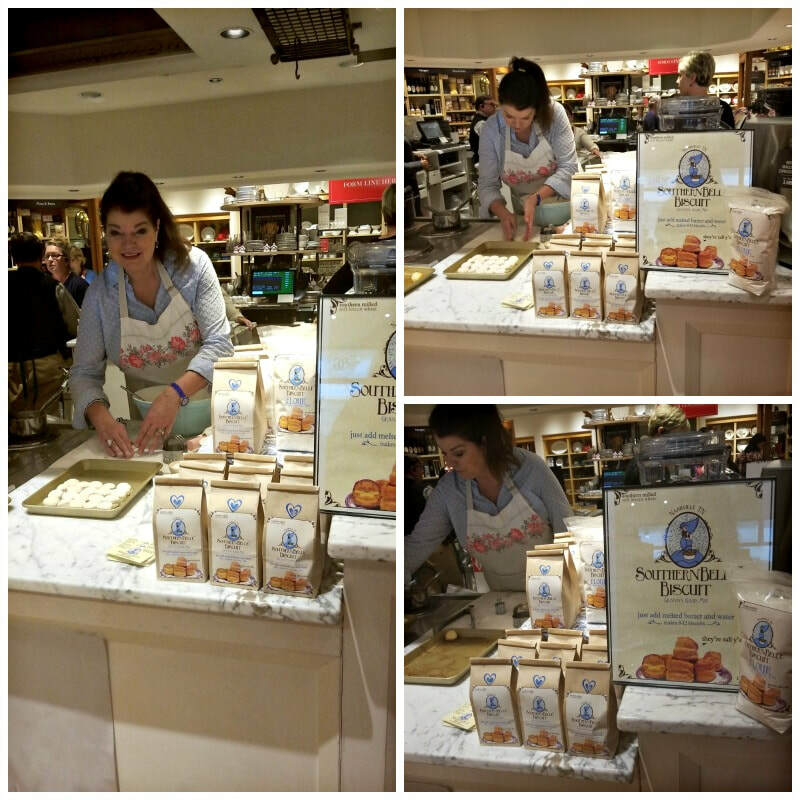 Our goal is to bring the tradition of Southern biscuit baking back into the heart of the home - the kitchen; with ease. Our Biscuit flour is only sold in our online store, or you can purchase it from the shelves of our Biscuit Kitchen in Nashville, . I love my New Jersey girls! I love when my students send me fun photos like this one. Thanks guys! Those biscuits are golden! 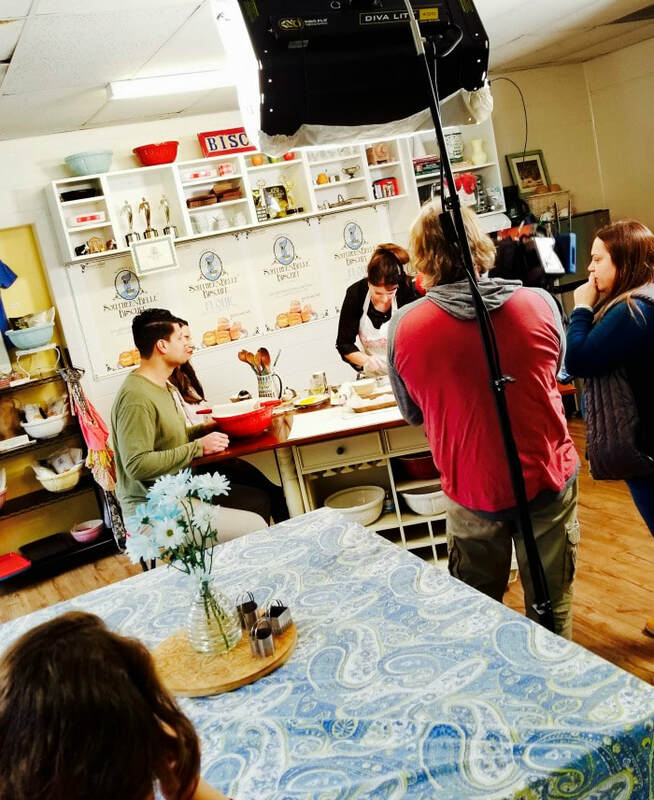 HGTV came to Southern Belle Biscuit shop to film a culinary Chicago couple who is house hunting in Nashville. They wanted to learn how to make a Southern 'Biscuits with Maryann Byrd, and so they did. By the end of the shoot..the couple, HGTV crew - all had hot biscuits and gravy. It's a wrap! The House Hunters show will air in the coming months.. we'll keep you posted. 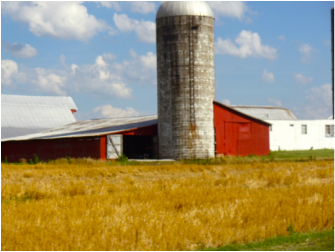 Southern farmers grow our biscuits! Southern Belle Biscuit Flour and Granny Good Biscuit Mix are Awarded one of the top six new products in Tennessee at the Pic Tennessee Grocery Retail Trade Show . 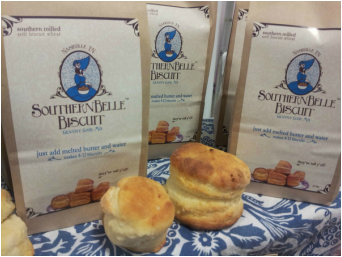 Southern Belle Biscuit Company evolved from Maryann Byrd's whimsical PBS documentary The Rise of the Southern Biscuit . The Emmy and Telly winning film celebrates the culinary icon of the South - the biscuit. When filmmaker Maryann Byrd realized the loving art of biscuit making was being lost to the processed frozen food market - and that Southern flour was no longer produced in the South --she decided to do something about it. She tested countless Southern grown and milled flours to create a premier biscuit flour and line of mixes formulated to keep the homemade aspect of from scratch biscuits -- yet takes out the pitfalls of getting this art down right.